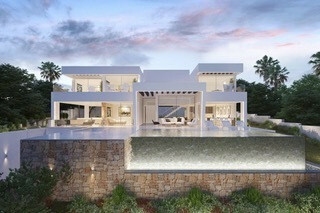 Villa under construction with stunning panoramic sea views. You can see the blue Mediterranean, from the coast of Africa to the rock of Gibraltar. 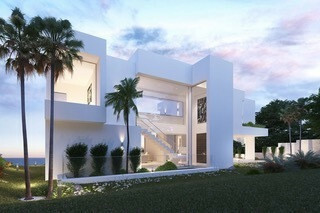 Located on an elevated south west facing plot with an infinity pool that will join the horizon line with the sea. 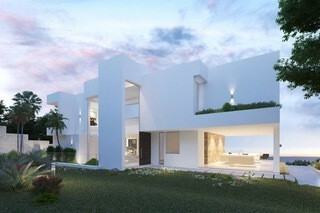 Just few meters to the beach and surrounded by several golf courses, ideally located halfway between the marinas of Estepona and La Duquesa. 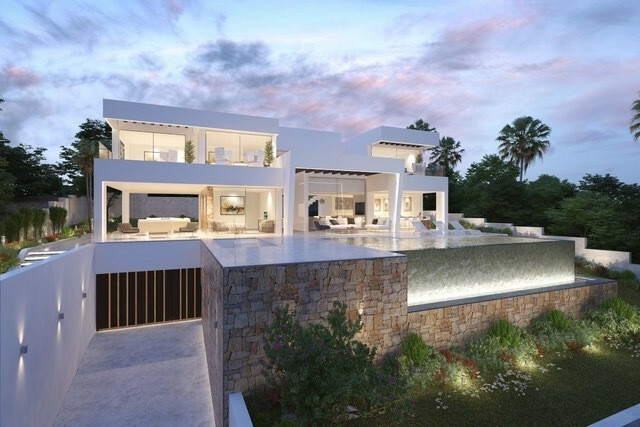 The villa will be built boasting many luxury features in a contemporary style, it has 3 spacious bedrooms on the first floor and one on the ground floor. 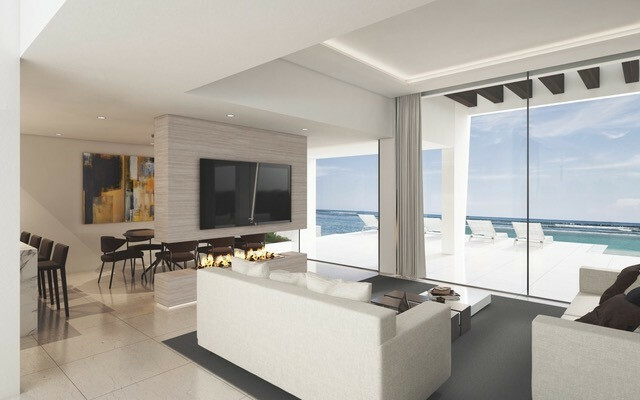 From the entrance to the house you can see the sea views, it has a large living room with an open kitchen. 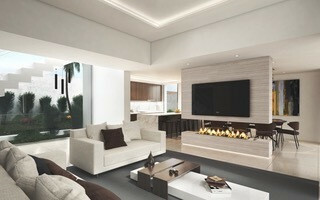 The basement has natural light and can be design according to your needs.